Do you need community service hours for school? 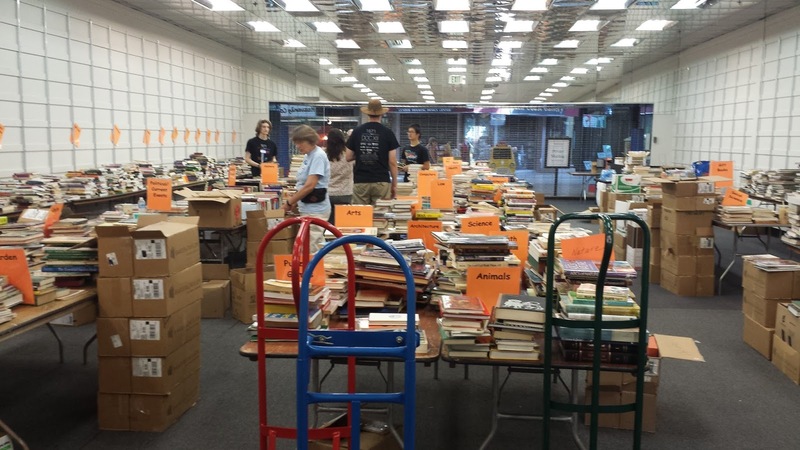 Volunteer your time and energy at the Friends of the Fresno County Public Library's BIG Book Sale! All proceeds go to the Library, so any help you can contribute will ultimately benefit you in a variety of ways. The KSEE 24 Drive-thru Book Drive for the sale runs until 7 PM today (South side of Sierra Vista Mall, back parking lot near Kohl's), and over the next few days volunteers are needed to help sort donations and assist with the sale itself. Thursday Aug. 18: Sale begins to public at 10:00 am - 9:00 pm; Volunteers needed from 9:00 am – 9:00 pm. Monday Aug. 22: 8:00 – 10:00 am—Non profit and community service organizations are invited to choose books at no cost to benefit their clients and organization. 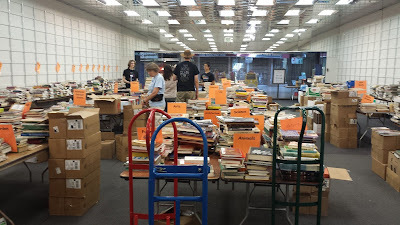 Monday Aug. 22: 10:00 am—Clean up and box remaining books. You can also call the Friends at (559) 486-0866, and visit their blog for more information.